Jelly beans are everywhere right now and you can get so many more flavors around Easter than you can at other times of the year. Fortunately, they aren’t too expensive. 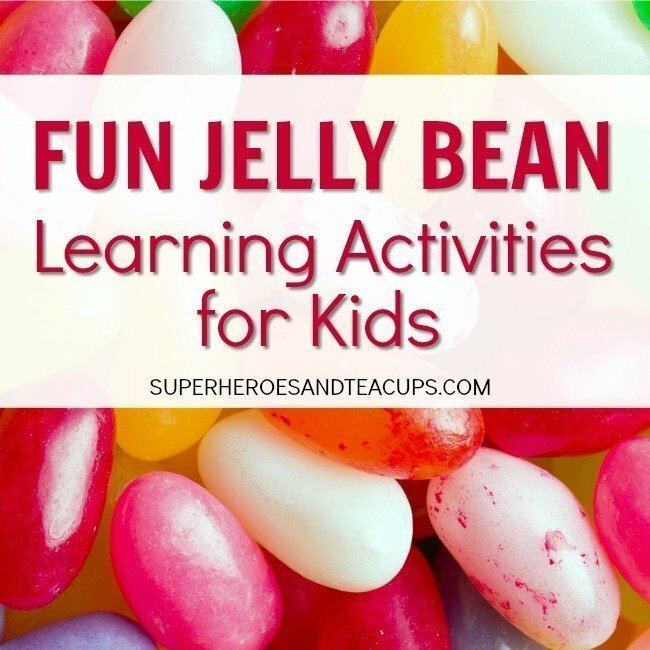 Have you ever thought about using jelly beans for a learning activity? You can sort them, count them, graph them, perform science experiments on them, and so much more. 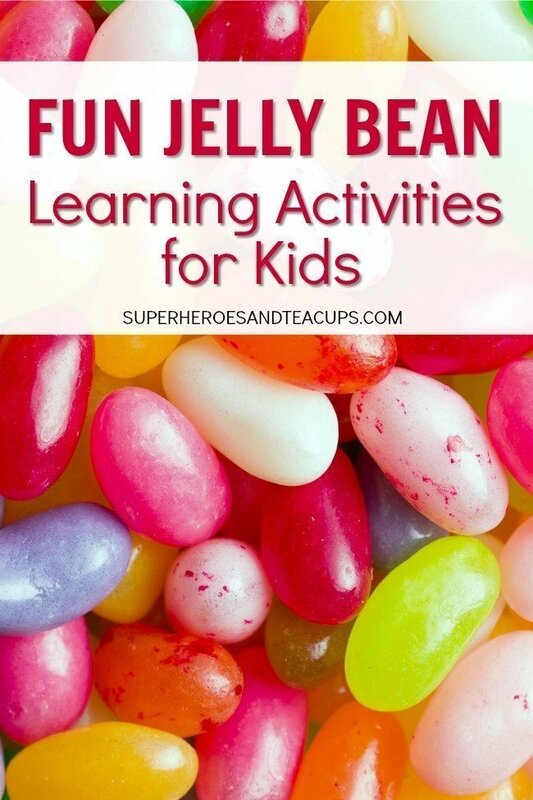 I found some fun jelly bean learning activities that you can do with your child before all of the jelly beans disappear. Don’t worry if you don’t have any on hand. You can buy huge bags of jelly beans anytime. You might want to grab some plastic Easter eggs and toothpicks to help your child with some of these activities. Preschoolers can practice letter recognition with this free J is for Jelly beans dot sticker printable from The Measured Mom. Children of all ages can explore the sense of taste using this jelly bean taste test activity from Childhood 101. There’s even a free printable recording sheet. Teaching Mama has some great activities to practice early math skills using jelly beans. Young children can use jelly beans to practice color matching with this art activity from Fun With Mama. Frogs Snails and Puppy Dog Tails has even more science experiments you can do with jelly beans. Children can make multiplication and division fun using jelly beans and these simple ideas from Kids Activities Blog. Younger children can practice color sorting using this jelly bean sensory bin from Stir the Wonder. Children can practice counting, comparing quantities, and much more with some jelly beans and this free math printable from Let’s Lasso the Moon. The STEM Laboratory shares ways children can use jelly beans to make structures. What a great group of ideas! I love using seasonal items for activities with the kids. Thanks for linking up to the Bloggers Brags Pinterest Party. I have pinned your post to the Bloggers Brags Pinterest Board. I like the idea of the taste test and science experiments are always fun. I am not a fan of Jelly Beans anymore, though I liked them when I was a kid, so it is nice to have some other uses for them. What a fun idea! I know we always get tons of jelly beans around Easter. Glad to use them for a little learning along the way.